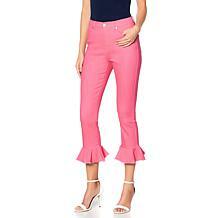 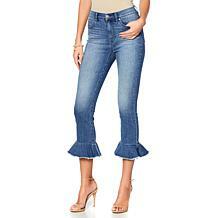 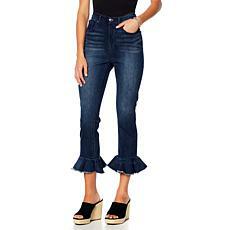 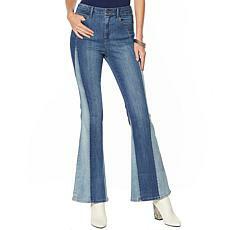 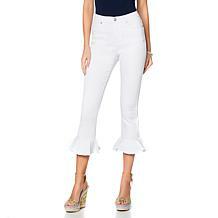 Starched denim never feels good, but these denim pants always give you room to move. 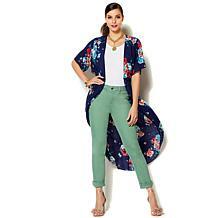 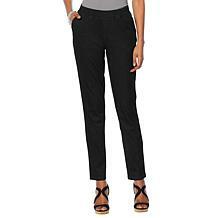 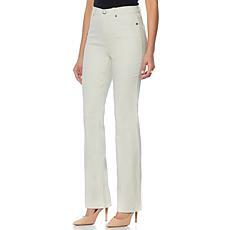 The fixed waist and front closure nod to a classic approach but the stretch fabric and faux pockets in the front give you a flattering fit. 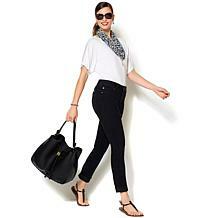 A flattering fit in a loved flare design. 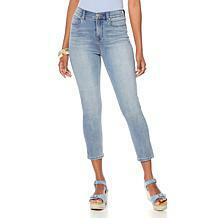 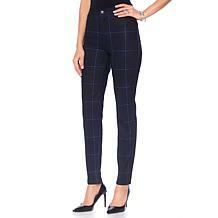 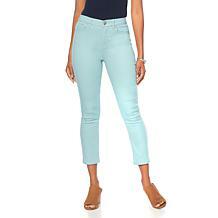 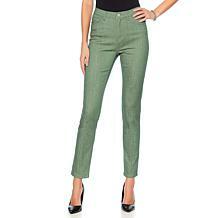 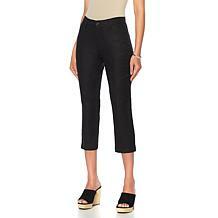 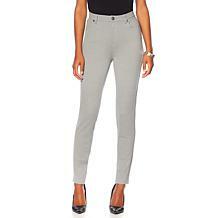 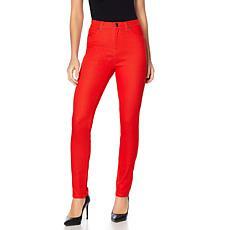 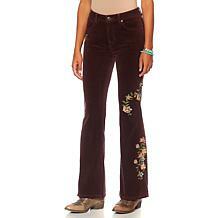 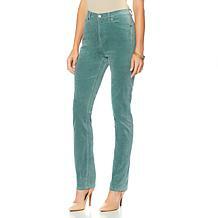 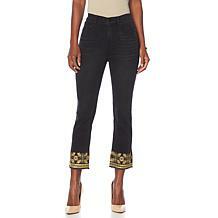 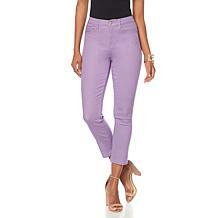 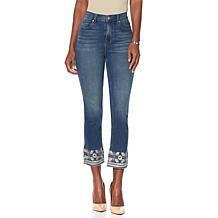 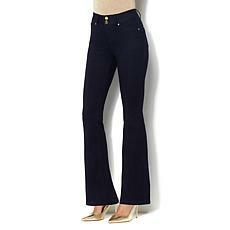 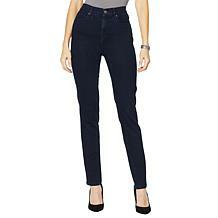 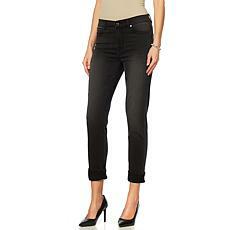 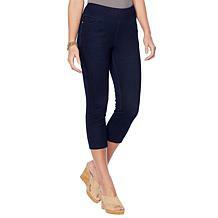 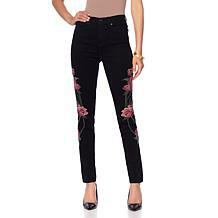 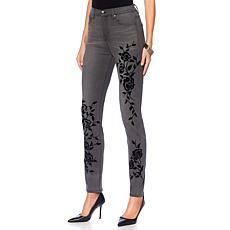 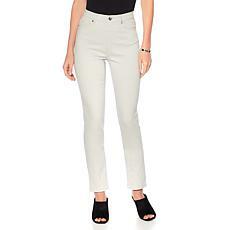 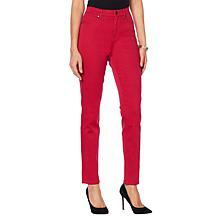 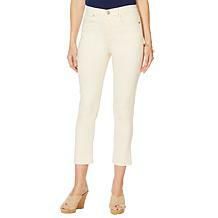 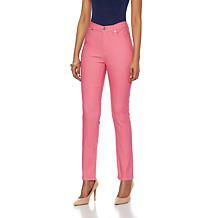 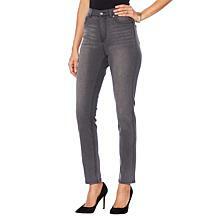 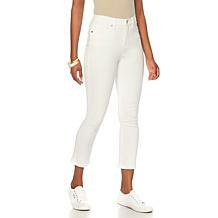 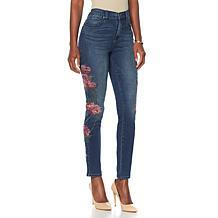 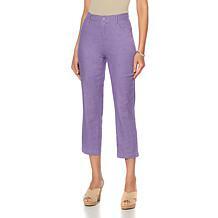 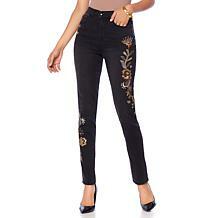 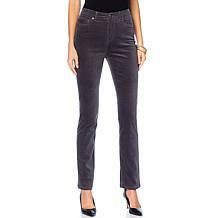 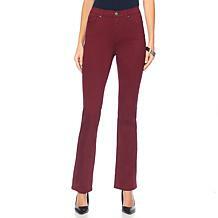 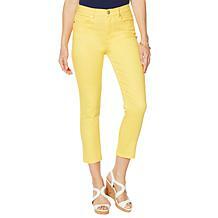 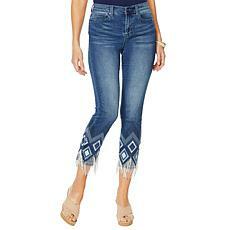 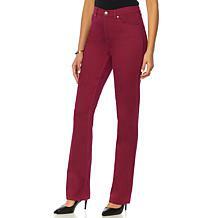 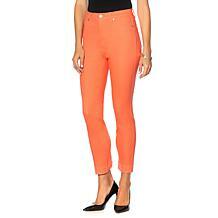 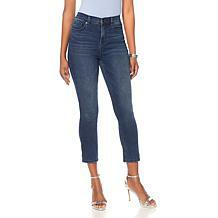 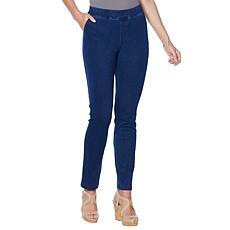 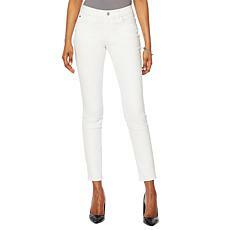 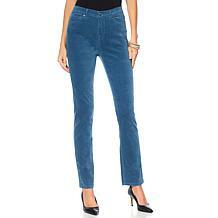 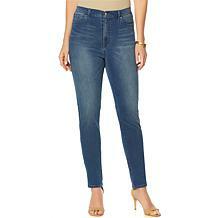 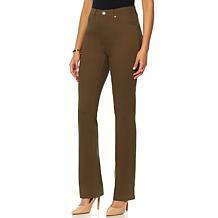 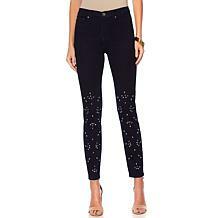 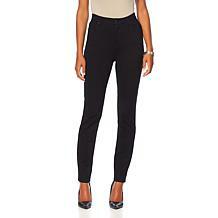 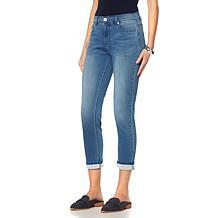 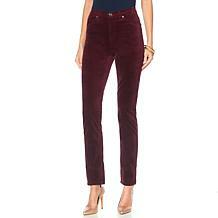 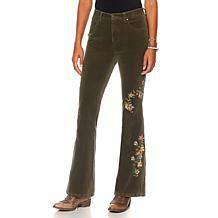 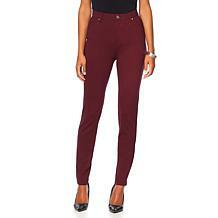 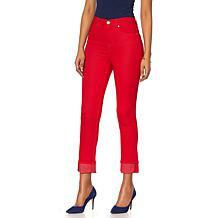 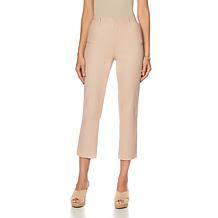 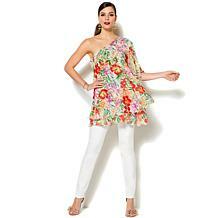 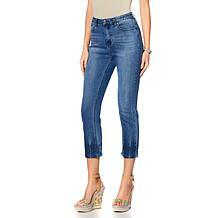 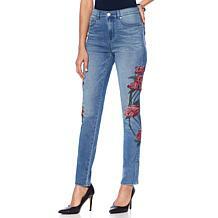 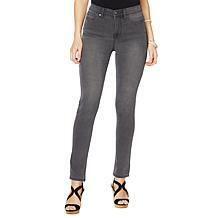 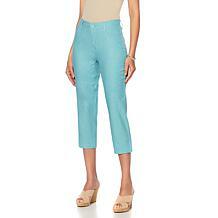 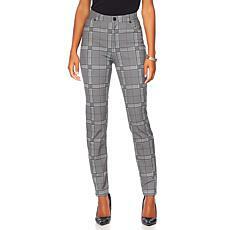 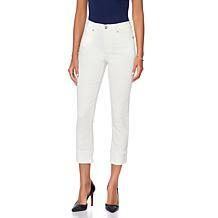 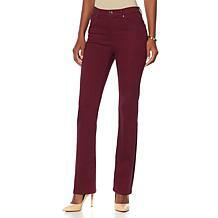 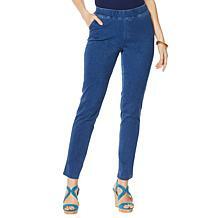 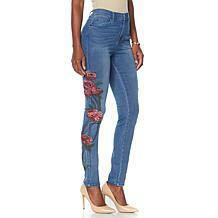 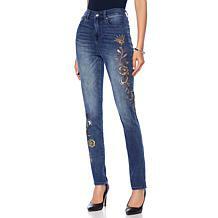 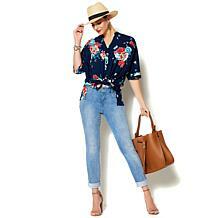 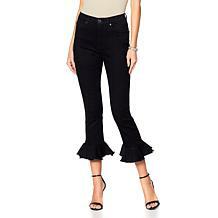 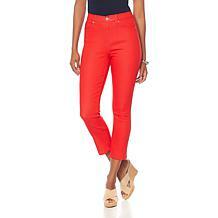 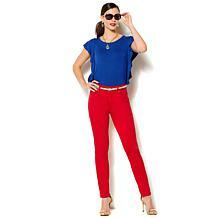 This jean evokes glam and gives you the freedom to move through your days and night with sophistication. 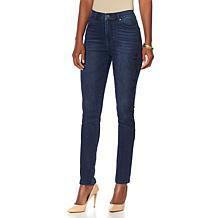 Long legs give the best views! 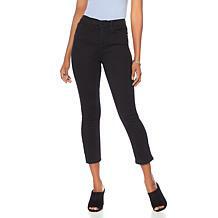 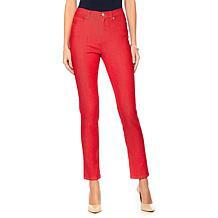 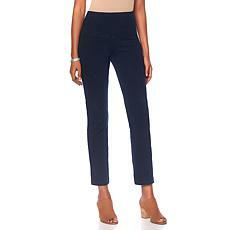 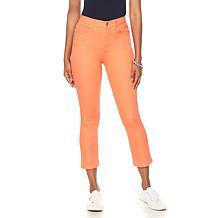 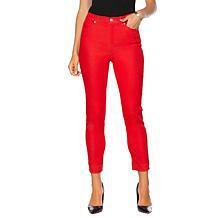 Made with Injeanious stretch and 360 Flex denim, these colorblocked, high-rise jeans sit at your natural waist and are fitted through the hip and thigh with a flared leg that make them go on for miles.